News Salmonella outbreak linked to raw turkey leaves over 200 sick across U.S.
More than 200 people from across the United States have fallen ill, 84 of them hospitalized, from an ongoing salmonella outbreak linked to raw turkey products that prompted a second voluntary recall on Friday, the US government said. The latest food-safety advisory from the US Centers for Disease Control and Prevention (CDC) in Atlanta came as millions of Americans planned their Christmas holiday menus, updating a notice for contaminated turkey issued in early November. Since then, 52 more people in 26 states and the District of Columbia have become sick from salmonella-tainted turkey, bringing the total number of documented cases to 216 in 38 states and the district. 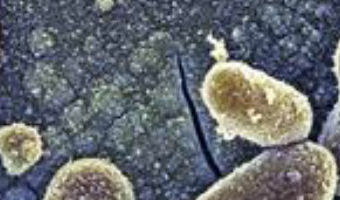 One death from the outbreak, which began in October, was reported in California, the CDC said. The Public Health Agency of Canada has reported an additional 22 turkey-related salmonella infections in 4 provinces - British Columbia, Alberta, Manitoba and New Brunswick - believed to be linked to the US outbreak. The … [Read more...] about News Salmonella outbreak linked to raw turkey leaves over 200 sick across U.S.